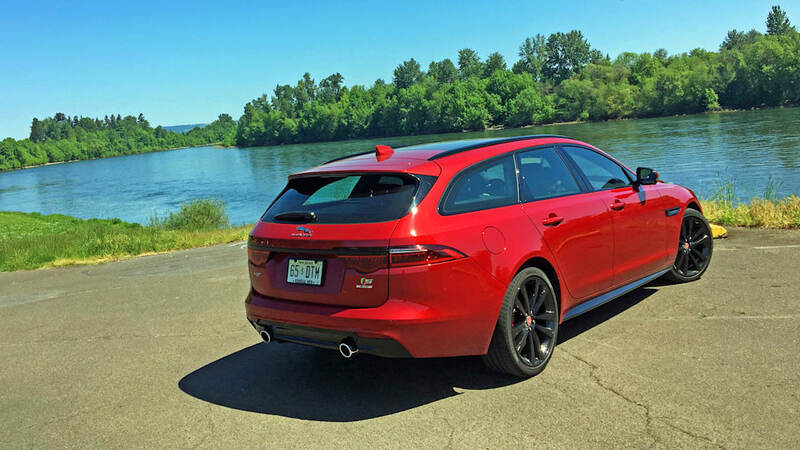 The 2018 Jaguar XF Sportbrake is a wagon, and as such, one must praise its existence. We need more of them. It looks sensational in all its long-roofed glory, especially in Firenze Red and the gloss black exterior trim package — yowza. Plus, its cargo area is deep, wide and generally voluminous. 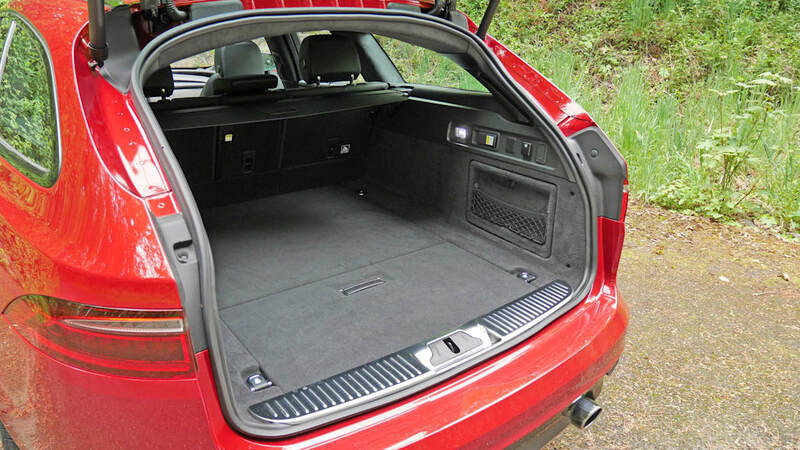 It would be nice if Jaguar included a roll-up net partition for dogs or to prevent high-mounted cargo from flying forward (as Audi does in the Allroad), but nevertheless, the XF Sportbrake should be more functional than many crossover SUVs. 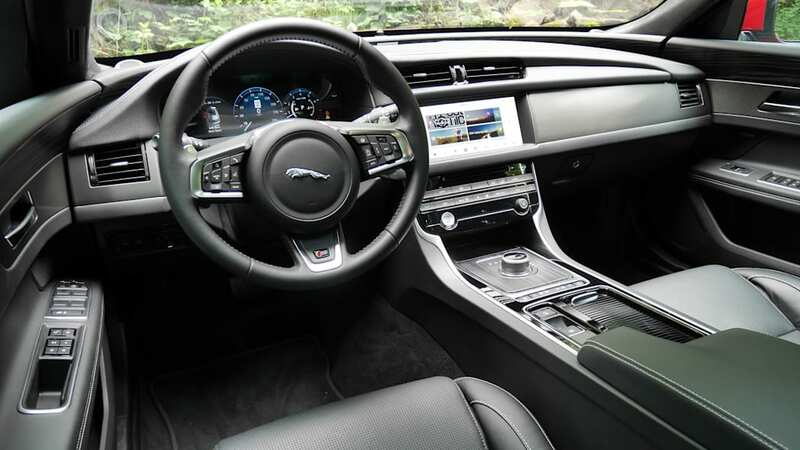 It should certainly be more enjoyable to drive, as the XF delivers with Jag's usual steering excellence and body control. 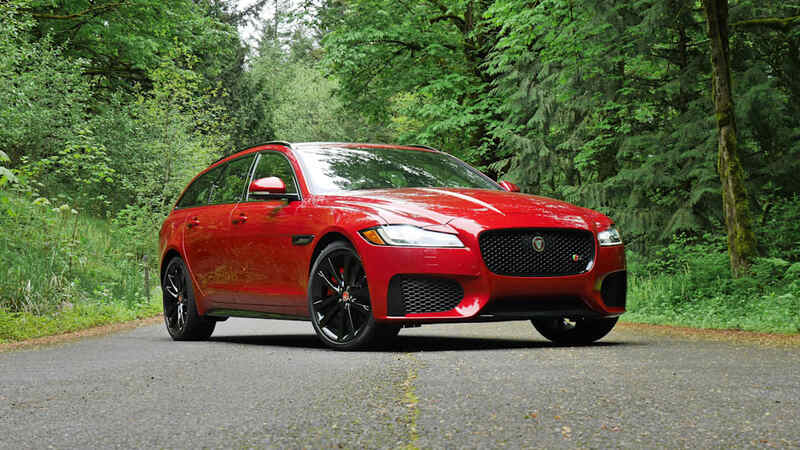 While other midsize luxury sedans have drifted away from the sporting realm (cough, BMW 5 Series), the XF maintains its engagement with the driver. As we discovered when driven back-to-back with the Volvo V90, it's one of the sportiest of sport wagons. It's definitely the sportiest of Sportbrakes. However, it's the "XF" bit that disappoints. The original XF was really something when it debuted, featuring seductively sleek styling in a segment of serious German sedans. 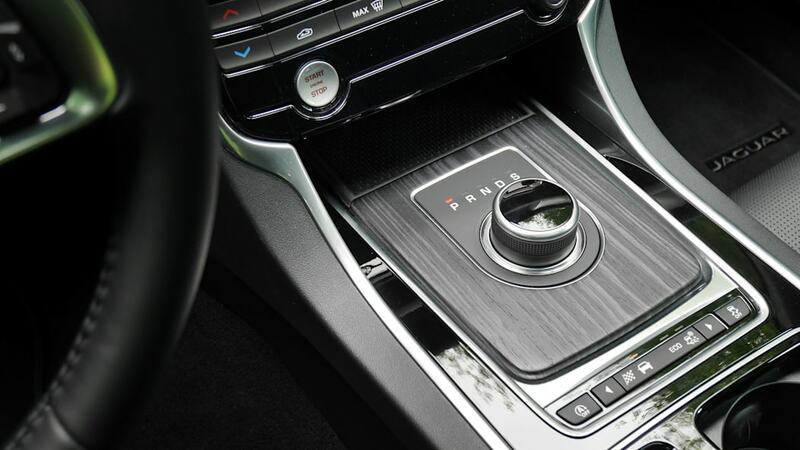 The distinctive cabin put on a show with rotating air vents and a rotary shifter that rose into your hand upon pressing the start button. 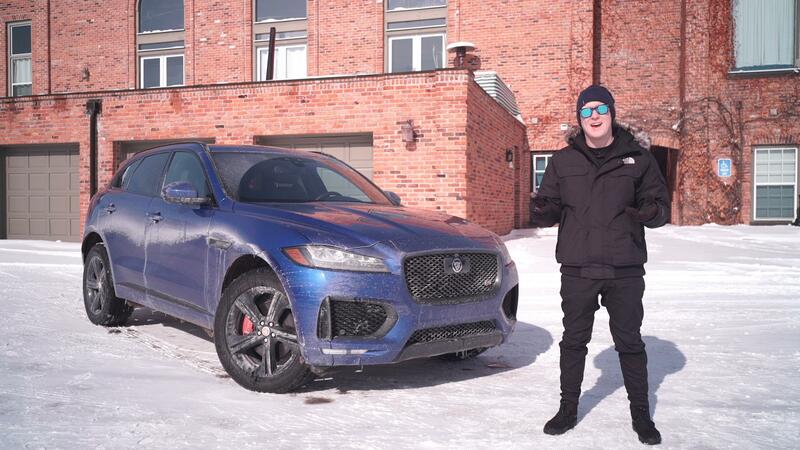 The fact that the XF was different inside and outside from its fellow Jaguars also differed from the Russian nesting doll design approach of its competitors. The original wasn't without flaws, but it was special. This 2018 XF just isn't. 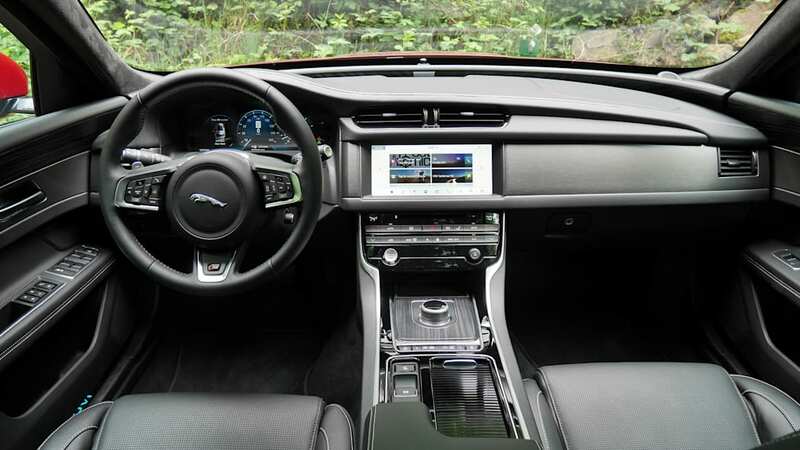 The cabin is the biggest problem, as it looks identical to those of the cheaper XE and F-Pace SUV, and is pretty unremarkable and, well, dull to behold. 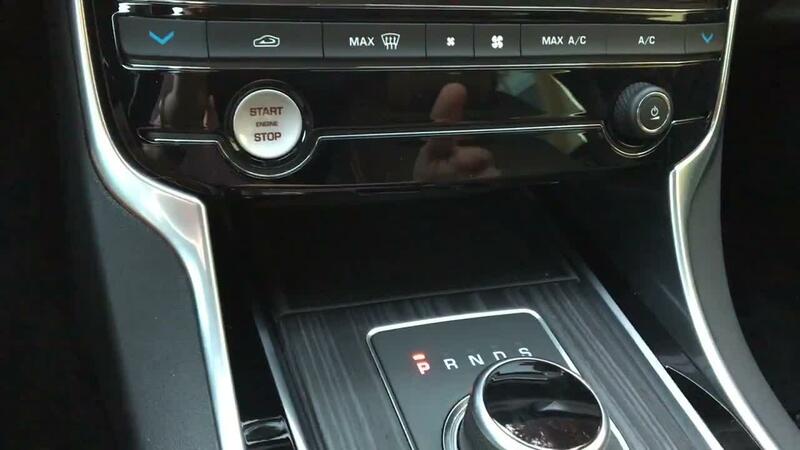 Even the "show" elements that have survived seem vestigial now, as only the outer air vents rotate and the shifter no longer rises into your hand since the starter has migrated elsewhere. More concerning, though, is that the materials are just not up to the segment standards, and certainly not in keeping with a test car that has a sticker of $84,815. For instance, the old XF could be fitted with soft leather covering the doors and the broad, downward sloping dash. The new one has coarsely grained pleather. Then there's the matter of functionality. 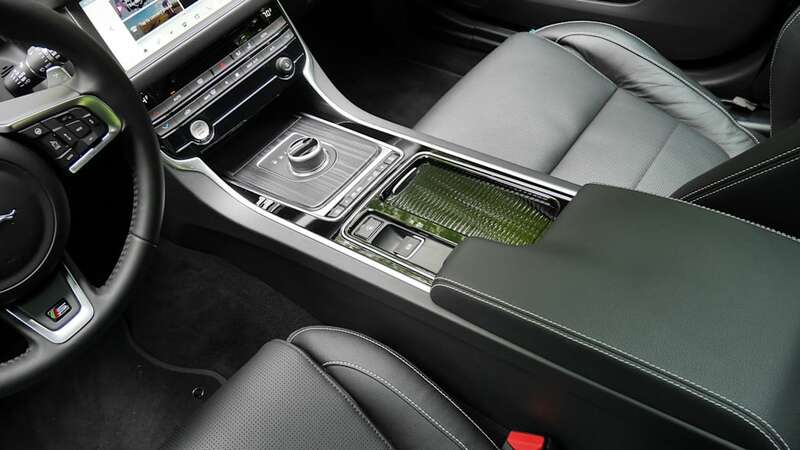 The rotary shifter in the original XF was certainly part of the "show" but it also freed up significant space on the center console for three cupholders/bins. 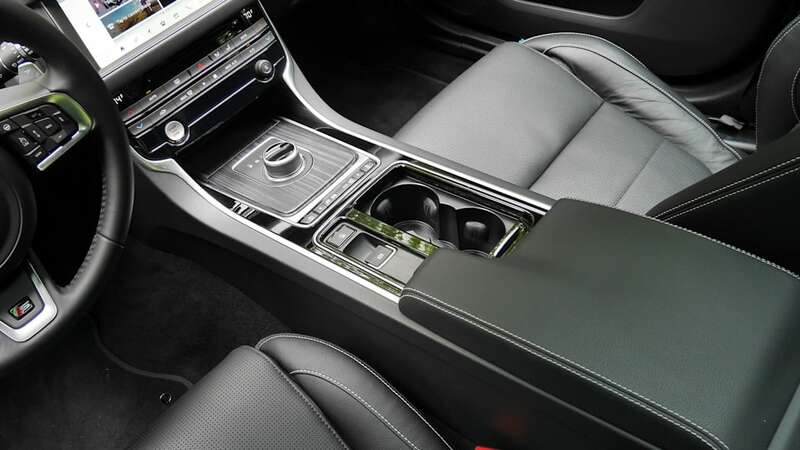 The new one resides in an expanse of wood trim the size of a shift boot, leaving no room for that third cupholder/bin. Sure, there's a small grippy pad forward of the shifter, but it's too small for many phones and doesn't feature wired or wireless charging. Meanwhile, the under armrest bin has shrunk to near useless proportions. Sure, it has more features and a much better tech interface, but in general, what the hell happened? Under the hood, the disappointment continues with the Sport Brake's lone engine choice: a 3.0-liter supercharged V6 good for 380 horsepower and 332 pound-feet. Sure, that's an abundant amount, and I won't even complain that it's available only with all-wheel drive. However, this V6 is utterly characterless. It lacks the effortless, buttery smooth thrust of the old XF Supercharged's V8 (420 hp, 413 lb-ft) that could be had for a similar price. It lacks the satisfying mechanical zing of other six-cylinder engines. It even lacks the exhaust histrionics of other current Jaguars that could, possibly, maybe, make up for it all. For a car with that much power, it surprisingly leaves you flat. And personally, that makes me sad. The original XF was and is one of my favorite cars — I would seize the keys of an old long-term test car at every opportunity. However, comparisons to a past love aren't the only reason for my disappointment. 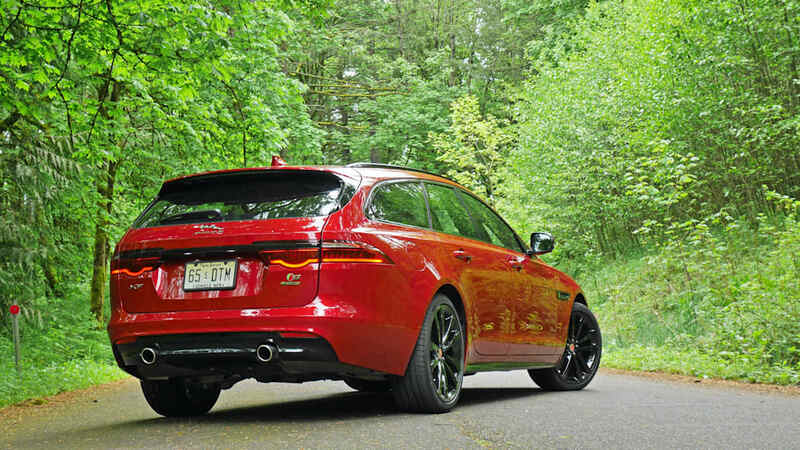 It's that this XF doesn't seem any more competitive than that car, while not engaging on an emotional level to the same degree. For the head and for the heart, it falls flat, and that would seem to make the XF a tough sell in a tough segment. 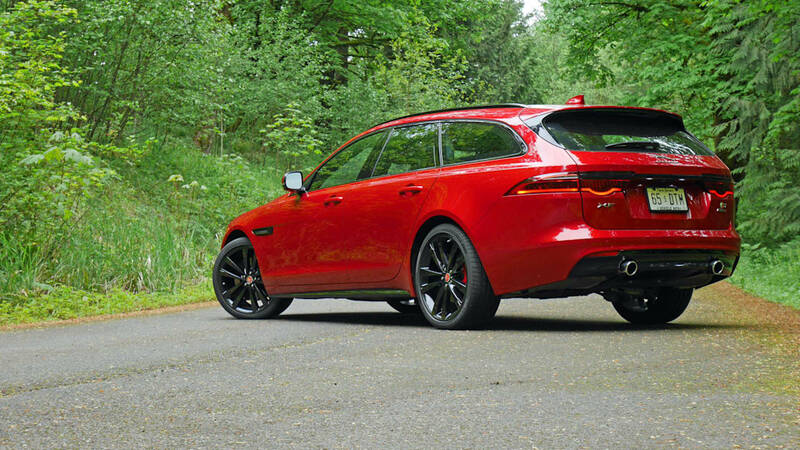 If anything, though, at least this Sportbrake version is distinctive enough to move the needle a little higher.